Wilhelmina Barns-Graham was was born in St Andrews in Fife, on 8 June 1912. She graduated from Edinburgh College of Art in 1937 and moved to St Ives in Cornwall 3 years later, near to where a group of Hampstead-based Modernists had settled to escape the war. It was here that she met Alfred Wallis, Bernard Leach and Barbara Hepworth among others and became a founder member of a group of abstract artists called the Penwith Society of Arts. Throughout the course of her life, Barns-Grahams' work generally lay on the cusp between abstract and representational, typically drawing on inspirations from landscape. After moving to Cornwall in 1940, she began to develop and hone her own method and visual language, with local shapes and colours appearing in her images. Influenced by Naum Gabo's principle of stereometry (defining forms in terms of space rather than mass) and inspired by her walks on the Grindelwald Glacier in Switzerland, she explored the idea of looking at things in a total view, from all points, including the inside. 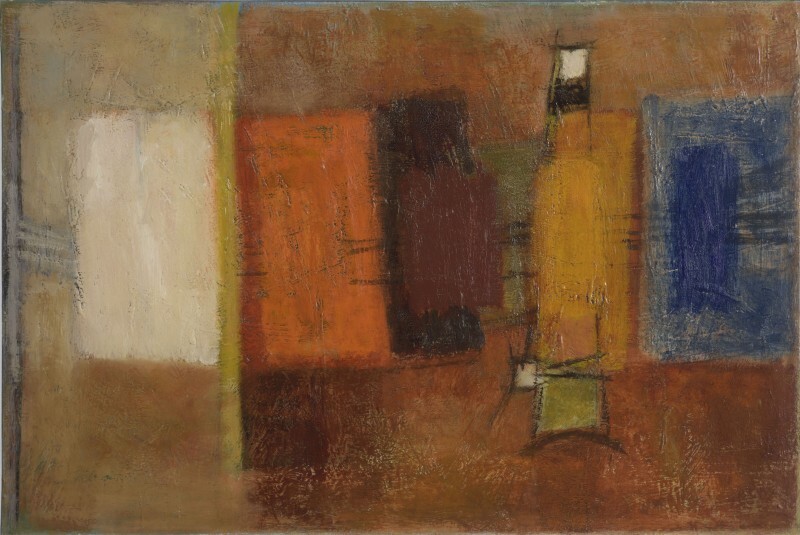 In the early 1960s, reflecting the turmoil in her personal life, Barns-Graham adopted a severe geometrical form of abstraction as a way of taking a fresh approach to her painting. In these works, squares tumble across the surface and circles flow over voids, as colour and movement come together to embrace the possibilities offered by the optical effects of a more formulaic abstraction. From the late 1980s and right up until her death in 2004, Barns-Graham's paintings became more and more free, reflecting her enjoyment of life and living. "In my paintings I want to express the joy and importance of colour, texture, energy and vibrancy, with an awareness of space and construction. A celebration of life — taking risks so creating the unexpected" (Barns-Graham, October 2001).